It looks like aliens took over the broccoli patch, doesn’t it? Romanesco broccoli is a unique vegetable that looks like a cauliflower gone crazy but has an intense broccoli flavor. It was first grown in Italy and is now available in more European countries, the US, and in Israel. If readers from other Middle-Eastern countries have spotted Romanesco broccoli in their local markets, please drop a comment below. 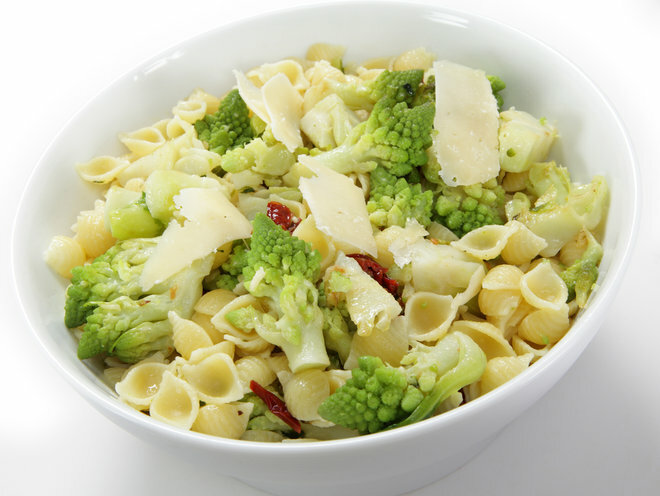 Romanesco, like conventional broccoli, pairs well with pasta and cheese. It would be great in our pan-roasted cauliflower and broccoli recipe too, or in our tri-color pasta salad. In this recipe, olive oil and strips of sun-dried tomatoes lend Mediterranean accents to the dish. Preheat oven to 200 degrees C. – 400 degrees F.
Pour the olive oil into a bowl big enough to fit the florets. Add salt, pepper, and 1 Tblsp. of the cheese. Separate the Romanesco broccoli into florets and place them in the bowl, turning them over a few times to coat them. Roast the florets on a baking sheet for 10 minutes, then turn them over and roast another 10 minutes. While the Romanesco broccoli is roasting, cook the macaroni. Rehydrate the sun-dried tomatoes in hot water; drain and chop them coarsely. Drain the cooked pasta; cover and keep it warm. Toss the roasted Romanesco broccoli with the pasta and tomatoes. Sprinkle the remaining 2 Tblsp. cheese over all. 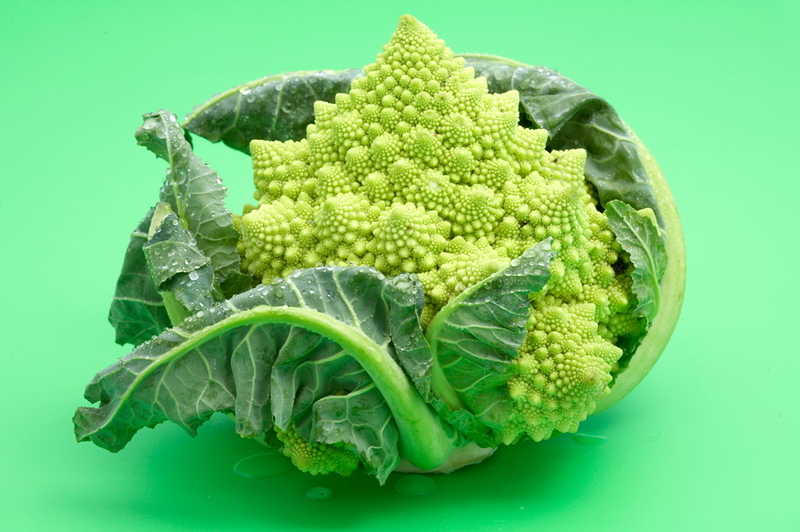 Image of Romanesco Pasta Dish and Romanesco broccoli via Shutterstock. Next Next post: Jewish artist’s “anti-Barbie” is a crowdfund-sation! I’ve sown these and purple brocolli in my own garden this year. The seeds can be bought in almost every supermarket or gardening store here in the netherlands. Makar Farm in Giza Egypt has been putting Romanesco in our veggie boxes. Tell us more about Makar Farm.